you have died of dysentery, originally uploaded by Ryan Wenner. Each year during the annual Oil Heritage Festival, there is a raft race. Participants launch their rafts a couple miles upriver from Oil City and float downriver to the finish line at Justus Park where all the other festivities / music / food is. 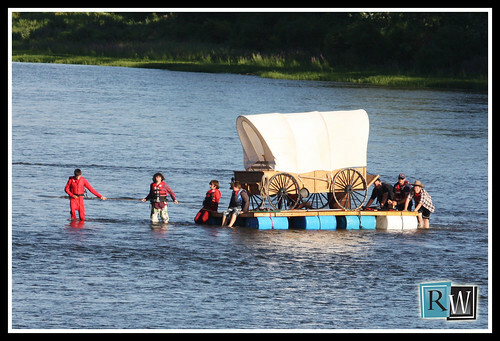 These rafters decided that rather than trying to ford the river or even hiring an indian guide, they would build a raft and try to float their wagon across. Even after all that work, all their oxen died. I wanna be a rock star, originally uploaded by Ryan Wenner. 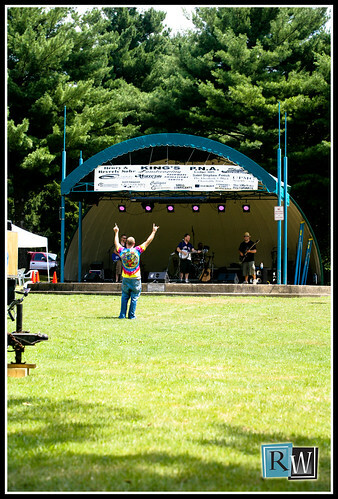 Friends of mine, The Old Hats, played at this year's Oil Heritage Festival in Oil City today. If you haven't heard them play, they're worth checking out; They could be described as sounding exactly like Nickelback... if Nickelback sounded nothing at all like they do now. The Old Hats were the first band to go on early in the day, so the park hadn't really collected a crowd yet (most of the people out-and-about were downtown at the craft show). However, there was one fan sporting some bright tye dye who was totally digging the performance and got up to show love for the band. get to the point already, originally uploaded by djryanspin. 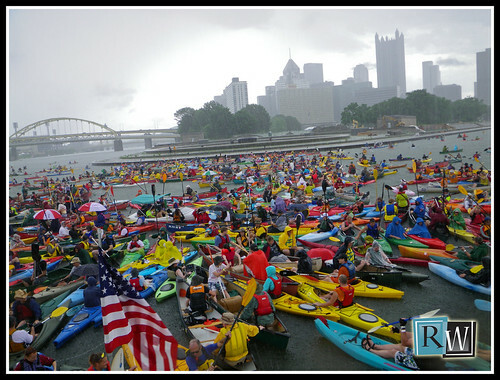 In June I took my kayak down to Pittsburgh with some friends where we all participated in "Paddle at the Point." Over 1800 kayaks and canoes came together to break a world record for the largest flotilla. I wanted to get a unique perspective on the event, so I built myself an aerial camera support which I call the "PoleCam 2010." If you want to make your own, can find details of how I did this on my personal blog. Also, I have a number of photos taken with the polecam in a Flickr set.